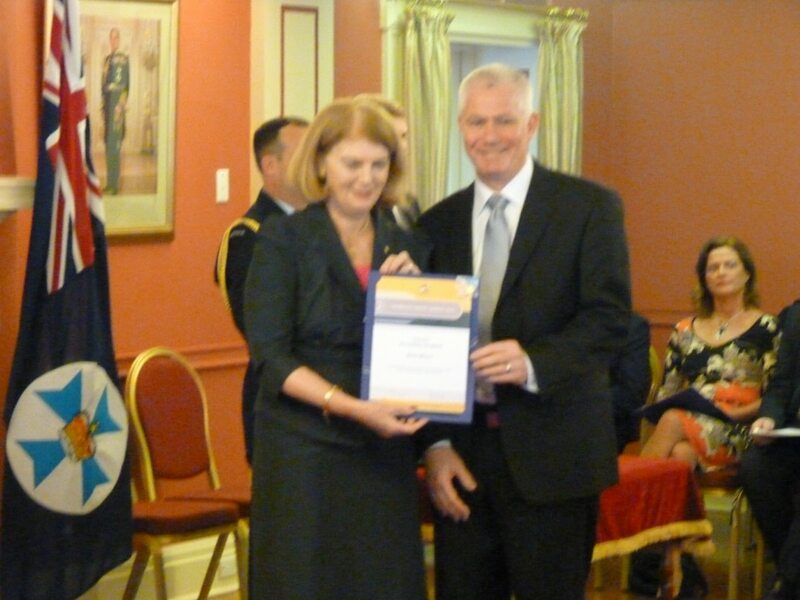 On August 24th 2012, Fiona, Liam and I attended Government House in Brisbane for the presentation of the Churchill Fellowship Awards 2012. The presentation was made by Her Excellency Ms Penelope Wensley AC, Governor of Queensland. After the award ceremony in the vestiture room, a reception was held upstairs where we were served beautiful food washed down by Australian sparkling wine. Her Excellency spoke to each Fellow about their upcoming travels and also spoke to partners and children. Liam decided to talk to Her Excellency with his feet on the lounge, like any 8 year old would, and then was able to have a tour of the fleet of cars in the garage, and had an opportunity to sit in the Rolls.